The apartment was beautiful, very clean and very comfortable. It was conveniently located. The apartment is very charming and beautiful. Everything is quite new and you feel very confortable. The U-Bahn stations are close to the apartment, so is easy to reach the city center. We were really happy chosing this place, totally worth it! 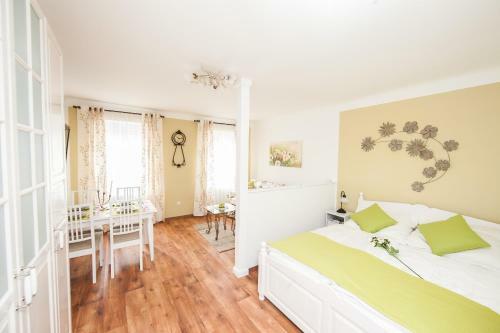 Located close to Prater, it is a really nice, small flat; basically a well furnished, studio. All it is clean and new! Perfect for a couple visiting Vienna!! the place is really nice and for sure I can recommended for others, maybe it's not cheapest but was clean and comfortable. The room was perfect and had everything we needed. It even had a divide between the sofa bed and double bed for us as couples. Very happy with the property. The property was next to a Billa Supermarket and Bipa cosmetics store and opposite a nice cafe open most of the day. The Underground station to all attractions was a 2 minute walk away from the apartment. The bed was very comfortable, all the facilities included. Very central location. Nice design, close to the center, Prater, modern furniture. The location of the flat is strategic, it's small but functional for a family of 3-4 people. Good value for money. Lock in a great price for Traditional Apartments Vienna TAV - Entire – rated 8.4 by recent guests! Just a 5-minute metro ride from the very heart of Vienna, Traditional Apartments Vienna TAV - Entire enjoys a quiet location next to the Prater fairgrounds and amusement park. 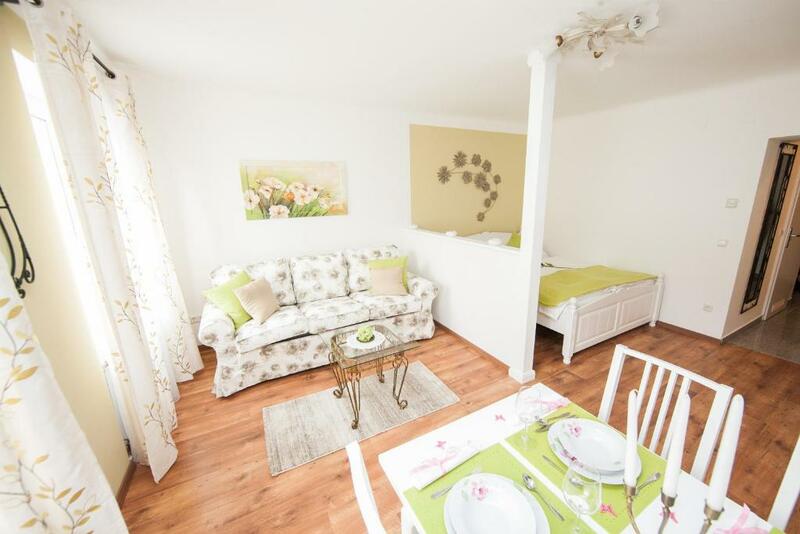 This stylish studio offers free Wi-Fi and a fully equipped kitchen. It is reachable by elevator and comes with a washing machine, a dishwasher, a DVD player and a flat-screen TV. Towels and linens are provided free of charge. Within a 5-minute walk you can reach the Praterstern square with supermarkets and restaurants. There are also various restaurants in the Prater amusement park featuring inviting terraces, like the famous Schweizerhaus. From the Praterstern metro station of the U1 line you can reach St. Stephen's Cathedral within a 5-minute ride. The station is just 1,650 feet away. The U2 line from the Messe-Prater stop offers direct connections to the Ernst Happel Stadium and the Vienna State Opera. 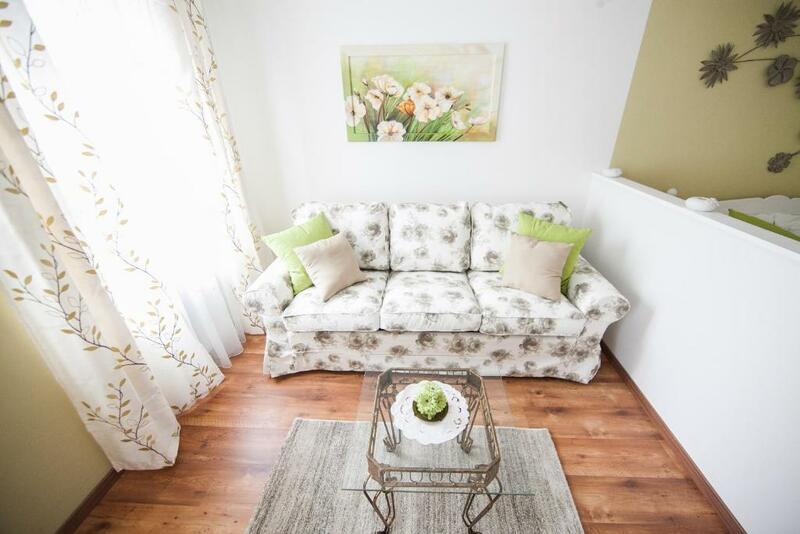 When would you like to stay at Traditional Apartments Vienna TAV - Entire? 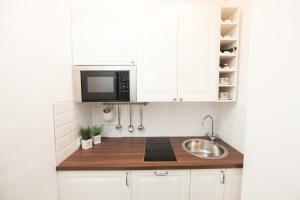 Modern and stylish studio with a fully equipped kitchen including a dishwasher and a washing machine, a double bed and a sofa bed and free Wi-Fi. It is located on the third floor and is reachable by elevator. 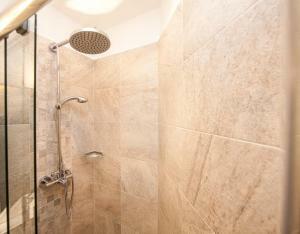 Very well located property near the Prater and University and fair. In some miutes you are in teh city center with very well transportation connection. 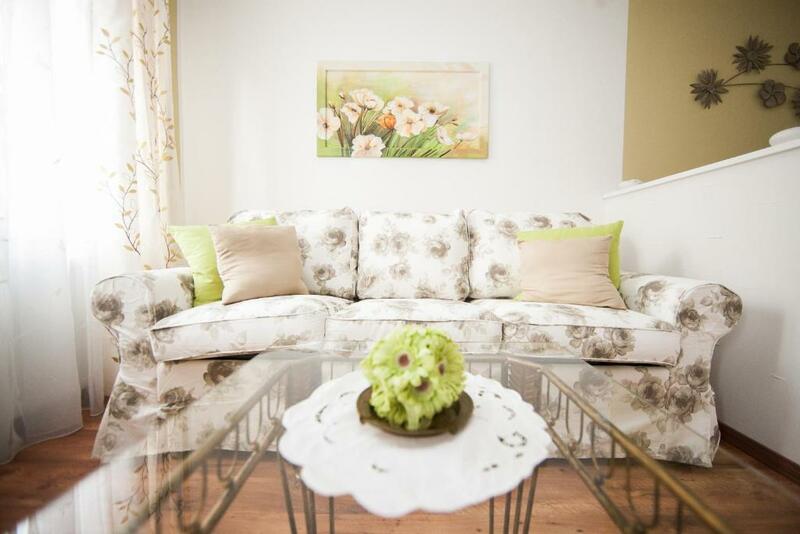 Centrally located, luxurious and fully equipped Apartment Entire in quiet surroundings. 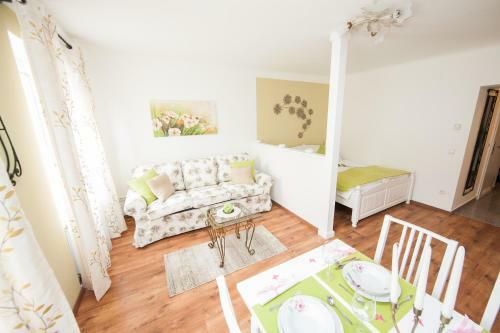 The holiday apartment offers room for up to 4 guests and is fully equipped: washing machine, iron, hair dryer, LCD TV, DVD player, free internet, kitchen, coffee machine, microwave oven, and many more. 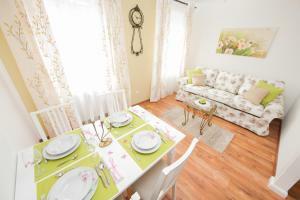 The complete and newly outfitted Vienna holiday apartment is situated on the third floor, with elevator on site. The city accommodation "Entire" Stuwerstrasse is located a mere 3-minute-walk from the underground station Messe/Prater and lies directly at the Viennese Prater park with its famous landmark: the Viennese ferrous wheel (Riesenrad), the fair grounds, and the University of Economic Sciences. I am a workerholic. I like sports like soccer, skiing and tennis. Apartment Entire Stuwerstrasse Vienna - environment information: From the underground station Messe/Prater you arrive in only a few minutes in the historic city center of Vienna - where further well known landmarks such as the Stephansdom, the Kärtnerstraße, the State Opera, the Museum of Art History, the Hofburg, the Emperor's Crypt, etc. can be found. At the Danube canal (Schwedenplatz-Urania Station), only 5 minutes by underground, you'll find the departure dock of the Twin City Liners passenger boats which shuttle between Vienna and Bratislava. The entire holiday accommodation Stuwerstrasse is situated next to the largest part of the second district - the Prater park. The Lusthaus, a historical building, that was a beloved meeting place for the nobility and the upper middle class in the 19th century. Nowadays the Lusthaus is a café / restaurant. Not far from the Lusthaus is the Ernst-Happel stadium where the final game of the 2008 European soccer championship was played. In the Prater river bank area lies the harness racing track Krieau, the horse racing track, and a golf club. The Wurstelprater offers a great variety of traditional Viennese gastronomic! House Rules Traditional Apartments Vienna TAV - Entire takes special requests – add in the next step! Traditional Apartments Vienna TAV - Entire accepts these cards and reserves the right to temporarily hold an amount prior to arrival. There are coffee making facilities, but no coffee (for a 1 night trip I would have hoped that some coffee, sugar could have been supplied). We would have like to have more paper in the toilet. Even if the apartment is on a quiet street it has windows on street and not the best quiet place. Extra fee for cleaning 35€ which was not included in final price. The total price was not clear, I needed to pay an extra cleaning fee (30 eur) on the spot upon arrival, which was not at all obvious at the time of the booking. Even today my reservation confirmation is showing 50 eur and not 80. Interesting that the towels of the previous guest were in the washing machine when we arrived, with machine still running. Booking.com could not help when I called them to complain about the additional fee, they insisted that I had seen the total price. I even remember using filter of 60 eur. When I asked for the supervisor or manager of the customer service rep, I was told this was not possible and there is no complaint management process! Very bad experience and unprofessional customer service.